Jared Celosse is a prodigious young talent who has recently joined the Olive Grove Records family where he releases his debut EP, Four Cold Walls. Jared Celosse is a young 20-something, born in London, spent his formative years in Prague and now calls Glasgow home. Drawing from this mix of cultures has given Jared the creativity to delve into experimental territories, blending his ethereal aesthetic with layered vocals and dreamy instrumentation. Playing upright piano and singing with a melancholic voice, which is best described as Ed Harcourt meets Nils Frahm with more than a hint of Nick Drake. 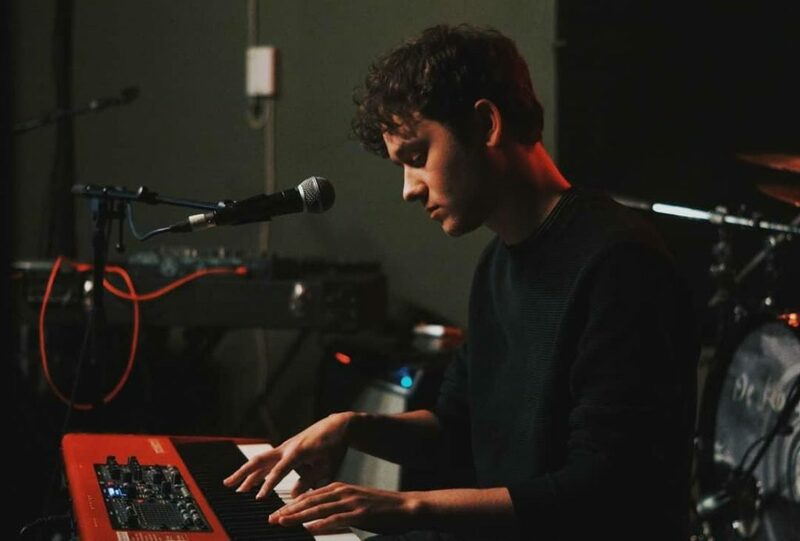 Jared’s wonderful mix of the old and the new makes him a truely unique artist. .
Jared wrote and recorded the majority of his debut EP, Four Cold Walls, in his Glasgow flat in a bedroom studio setup, adding each intricate layer of music individually. Jared was first introduced to the Olive Grove label after a chance meeting with Carla Easton (TeenCanteen, Ette), when the two bonded over a mutual love of George Harrison, led to Jared sharing his own talent. Jared has supported the likes of Scottish indie legends Eugene Kelly (The Vaselines) and De Rosa, and recently played with the hotly-tipped Martha Ffion at her recent album launch in Glasgow. Lost My Voice by Jared Celosse is available now as a free digital download. Four Cold Walls EP is available as a limited edition CD and as a digital download from 30th March 2018 via Bandcamp.